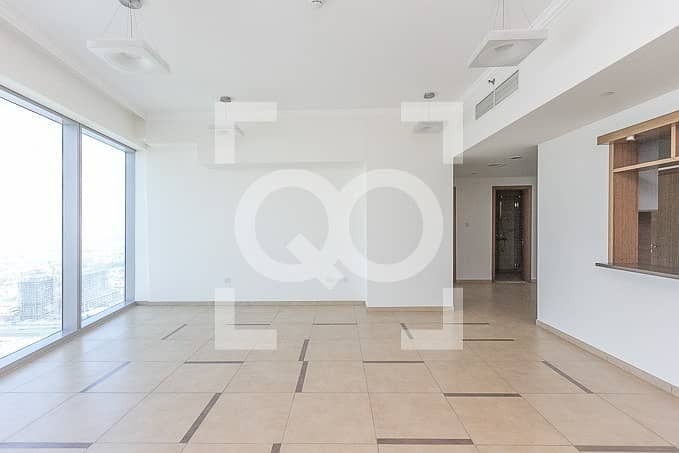 QubeOne is pleased to present to you this unfurnished 2 bedroom in 48 Burj Gate Available Now! 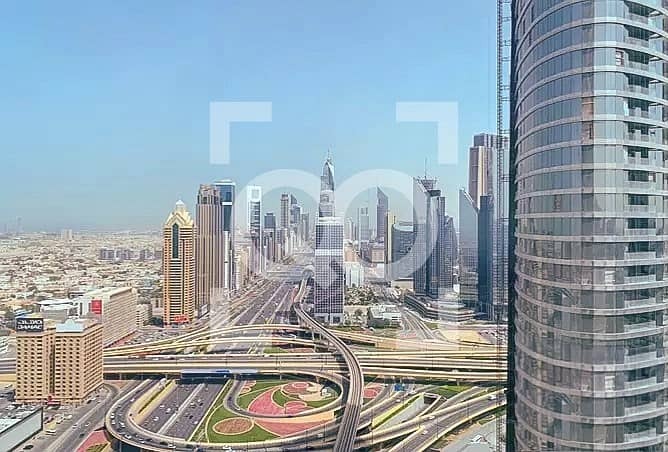 This unit is a two bedroom apartment as you enter the apartment you find a fully fitted semi open kitchen to your left, the kitchen faces the living room which faces Sheikh Zayed Road and the a full wide angle full sea view. .
48 Burj Gate have extra-large windows that provide a broad outside view letting in a lot of light. Picture windows are usually fixed, non-opening (inoperable) windows. As you walk through the rest of the apartment you have the second bathroom along with a standing shower and no tub, in the second bedroom you have large windows facing the same view as the living room and large inbuilt wardrobes very spacious and neat. 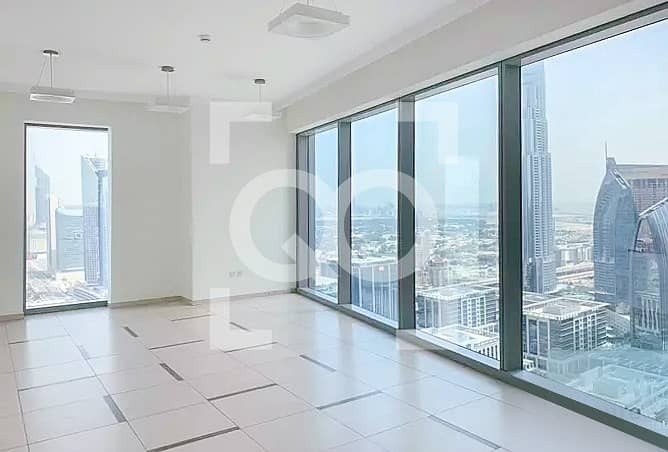 Lastly as you breeze through the master bedroom as you enter you find your inbuilt wardrobes to your right and you then enter into a fairy large master room also large picture windows facing the sea and SZR view. The Master room has an en-suite with a bathtub and a decently sized bathroom.